As we have discussed in our article “Psoriasis Cure Information”, psoriasis is a chronic genetic immune disease. It causes the body to produce skin cells at a rapid rate creating thick crusted skin known as plaques. This can occur on various parts of the body such as the elbows, chest, back, knees, hands and feet. This condition can develop in adults, as well as children. Because psoriasis has a strong genetic bond, the gene can be passed along from the parent to the child. Therefore, it would be advisable for you to find out if you have any close relatives who may have this skin disorder. 1.Be extra careful in protecting your skin from any damage. It is important to know that the minutest of skin injuries such as a scrape, cut or bruise can cause psoriasis to be triggered. Do not scratch or pick your skin! This can produce an opening in the skin where more infection can enter! 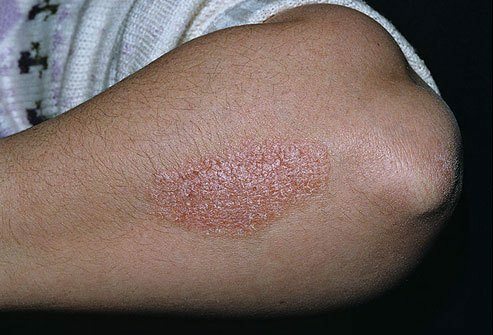 A provoked opening of the skin, even as small as a vaccination, can cause infection to enter and result in new psoriatic plaques spreading and forming on clear skin. 2.Take better care of yourself both inside and out by avoiding stress and eating well. Stress can affect our health by destroying your body and it is very harmful for your emotional wellbeing. Stress is known to affect our immune system and is a major trigger for psoriasis. Therefore, daily management of your stress is extremely vital for the prevention of psoriasis flare-ups. There are numerous resources today on the World Wide Web regarding stress management. It only takes a few minutes to search for books, methods and special classes that will help you confront this problem. Being able to find the system or technique that works well for you will make your stress just a memory. 3.You need to properly nourish your body in order to feel good both physically and emotionally. Eliminate as much as possible any processed foods, sodas, and artificial ingredients. Substitute your present diet with more fresh fruits and vegetables and buy organic meats. Make your grocery list a natural and healthy prescription for healing your body. 4.An unfamiliar pathological trigger for psoriasis is strep throat. This is because this does not occur often and is not common knowledge. However there are verified reports of children who have had strep throat and developed the symptoms of psoriasis shortly after contracting the infection. Be sure to bring your child immediately to your pediatrician if you think they have strep throat. If you or your spouse has psoriasis, your child could have also inherited the gene. A single case of strep throat can allow the psoriasis to begin revealing itself. 5.Some medications that are non-steroidal anti-inflammatory drugs are known to trigger psoriasis flare ups. Be sure to check all of your prescribed and over the counter medications that you are currently taking. 6.It is important to reinforce our strong stance on avoiding any type of skin injury. Therefore, you should always try to stay away from long periods of time in the sun and be sure to use a strong SPF sunscreen to protect your skin against burning. Any type of inflammation or damage to the skin can provoke unwanted flare ups. NextThecanadianpharmacy.com: Does This Online Store Offer Great Services?